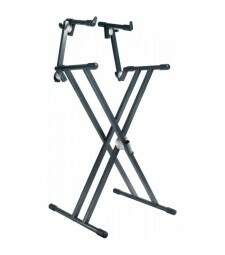 SPL252 “SNAP LOCK” adjustment system professional two-tier keyboard stand, double frame desig..
XTREME - Black square tube single braced ‘X’ style stand. 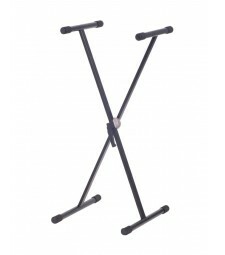 5 position centre height adjus..
XTREME - Black square tube single braced ‘X’ style stand. 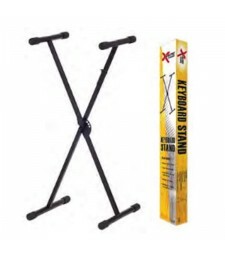 Small and compact, suitable fo..
XTREME - Black professional heavy duty square tube ‘X’ style stand. 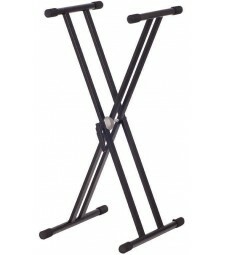 Double braced. Multi p..